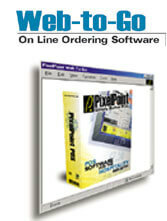 PAR PixelPoint has been serving up today’s most reliable, flexible and easy-to-use POS, Backoffice, Wireless, Web and Enterprise software suites since 1992. PixelPoint has been part of the PAR family since 2005. PAR is the world’s leader in systems and service integration solutions for the restaurant industry with over 45,000 industry leading Point-of-Sale systems installed in over 95 countries worldwide. 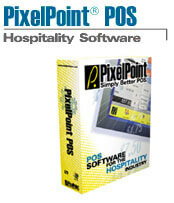 Whether you’re operating a fine dining restaurant, a quick service chain or even a high volume bar, expect to increase your performance with PixelPoint POS software. Expect to improve your operation’s performance and bottom line with a solution designed to be amazingly easy to use, brilliantly flexible and rock solid reliable. Empower your people to deliver outstanding service, right out-of-the-box, with fully customizable menu screens, table layouts, and screen flows. And thanks to concise screen layouts users can understand and use more aspects of the software, allowing them to make the best use of your investment. With the latest release of PixelPoint V12, managing restaurant operations is even easier with more choices and capabilities to run your business better. 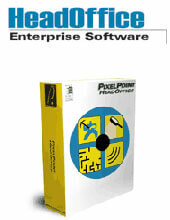 Reduced Initial Investment : The PixelPoint POS software license is now available as a subscription option (monthly fee). Restaurants now have the option to experience a proven and full-feature PixelPoint POS through a low monthly fee or the traditional perpetual license option. Simplified Web-based Activation : PixelPoint V12 and all future versions can be activated via the internet and licensed faster. Advanced Security, Compliance and Fiscal Features : A new and extensive set of configurable security and compliance features provides the flexibility that POS integrators and customers need to meet the ever-changing global payment, fiscal and labor compliance demands. The new features enable companies to design a single complete POS solution for a concept or brand to meet compliance demands across multiple municipalities, states, provinces and countries. Extended Mobile POS Capabilities : PixelPoint makes it a perfect fit for extending POS mobility to wait staff using the latest tablets and can be integrated with online ordering (via third-parties) from consumer smart-phones. PAR WebView also provides mobile access to HeadOffice Cloud dashboards and reports for restaurant operators and managers. 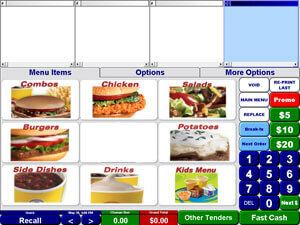 Total Touch POS™ is a complete front- and back-of-the-house restaurant POS software application suite that includes everything necessary to easily manage your restaurant’s day-to-day operations. It is intuitive and as simple to install, train, use and support as a smart cash register, yet has the power and flexibility of a robust computer-networked system. It is known for its reliability and comprehensive management abilities from touch screen point of sale functionality to back office reporting. With few “Bells and Whistles” to get in the way of using your POS system to run your restaurant effectively, efficiently and profitably, Total TouchPOS™ is full of features … just not the ones you’ll never use! For retail organizations looking to drive success, Microsoft Dynamics Retail Management System (RMS) offers an easy-to-use, flexible solution that helps you manage operations and performance across all your stores and at the head office. Designed to meet changing business needs, this powerful software package delivers the investment protection of a solution that can be adapted to meet the unique requirements of your retail environment. Microsoft Dynamics RMS Store Operations can be run as a stand-alone application in individual stores and connected to the head office via Microsoft Dynamics RMS Headquarters. Along with automating the full range of point-of-sale (POS) processes, Microsoft Dynamics RMS Store Operations enables managers to maintain tight control over inventory, pricing, suppliers, promotions, customer information and reporting. Avero Slingshot® is a cloud-based, SaaS analytics platform that takes the mounds of data you contend with each day and delivers back clear, simple and actionable insights. Designed specifically for the hospitality industry, Slingshot takes the guess work out of daily decision making, helping you to control your costs and increase restaurant sales for optimal profitability. As an F&B operator, you know that you need answers, and you need them right now. Avero Slingshot® offers a variety of distinct modules to help you take on your biggest concerns. Select from the list on the right to learn more. Sales: Evaluate sales and make informed menu decisions. Productivity: Logbook & Check Search Spend less time in the back office. Promos & Voids: Uncover fraudulent or sloppy POS behavior. Service Team: Deliver the sales and guest experience you expect. Labor: Eliminate unauthorized and preventable overtime. Hourly Sales & Labor: Make targeted staffing adjustments. Budget: Know exactly where you stand. Group Reporting: Insights for the Entire Enterprise. POS Flash Reports: Custom reporting solutions using data from your Restaurant POS. 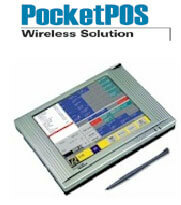 Avero Loss Prevention: The Fastest Way to Stop Fraud & Deter Theft. 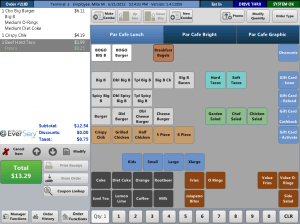 For over a decade, QSR Automations has helped thousands of hospitality businesses of all sizes and concepts around the world — table service, quick service, fast casual, deli, bar, pizza delivery and many other unique environments — to effectively enhance productivity and profit. Filling the mission critical voids left by point-of-sale and backoffice systems, our innovative Connect Smart Hospitality Automation Solution and ePic Kitchen Management Solution.